The physical restoration of a sailboat is a meticulous process; each step must be given great care and is required and necessary for the following steps to be beneficial. The first step in a sailboat’s physical restoration is to sand off the built up particles and filth covering it. . . He began to feel a pull between full-time missions and beginning his college education. The Lord answered his inquiries during his first missions trip to Hungary. While there he was a part of a street outreach – sharing the Gospel with passersby and being a witness to the poverty people lived in. Gentry knew, though, that the Lord was guiding him to return home to attend Lee University and focus on reaching the impoverished here in the States. The second step in a sailboat’s restoration is to clean it thoroughly after sanding off layers of debris . . .
After graduation, Gentry joined AmeriCorps and began serving in the largest men’s homeless shelter in Atlanta. Through meeting the basic needs of the homeless by feeding and clothing them, he began to feel heavily burdened; he struggled to understand why he was able to go home at the end of the day to warmth and security, but the men he served had to stay behind and live impoverished. Juanita, a social worker at the homeless shelter, was quick to speak truth into Gentry’s doubts and burdens; she assured him that he couldn’t, and shouldn’t, try to carry the weight of this and that the capacity to save people was not his, but God’s alone. After his AmeriCorps service, Gentry was offered a Junior High and Outreach position at a church; it was there he met someone and fell in love. The third step in the restoration process is to begin to fill in the cracks and crevices of its surface ... His marriage went well for the first year, but soon after old habits began to surface in his wife’s life; he began to attend church alone and prayed that this current season in her life was simply that – a season. But the sporadic behavior became regular behavior and soon Gentry found himself being the recipient of words that brought both physical and emotional damage. About a month later he was divorced, unemployed, and sleeping in a twin bed in the basement of a friend’s home. He began to help his ex-father-in-law in his business of restoring sailboats. In the midst of the restoration of sailboats, Gentry began to see his own restoration process take place. The fourth step in a sailboat’s restoration is to sand the surface all over again – to remove impurities and build up from the previous steps . . . It was during his time living with friends that Gentry began to see glimpses of hope again. He began to see through the shadows of shame over his divorce that Jesus was good, He was loving, and He would provide. March 2010 brought Gentry to Costa Rica for his next mission trip; during his time there he began to feel true joy for the first time since his divorce; through the people he served he found that, no matter the circumstances, there is joy to be found and joy to be had. Over time he went on several missions trips and found restoration in praising the Lord and sharing His truth. In June of 2011, he was given an opportunity to be a missionary director at a Native American reservation in South Dakota. This brought Gentry to fully depending on the Lord in a season of new territory. Week 7 of 10 of his stay brought a small group from a church called Apex. It was during this particular week that Gentry met a woman named Kendall; through his time spent with the group from Apex he realized he had met a woman with a heart for the Lord, for missions and a restored faith in Godly women still being in the world. 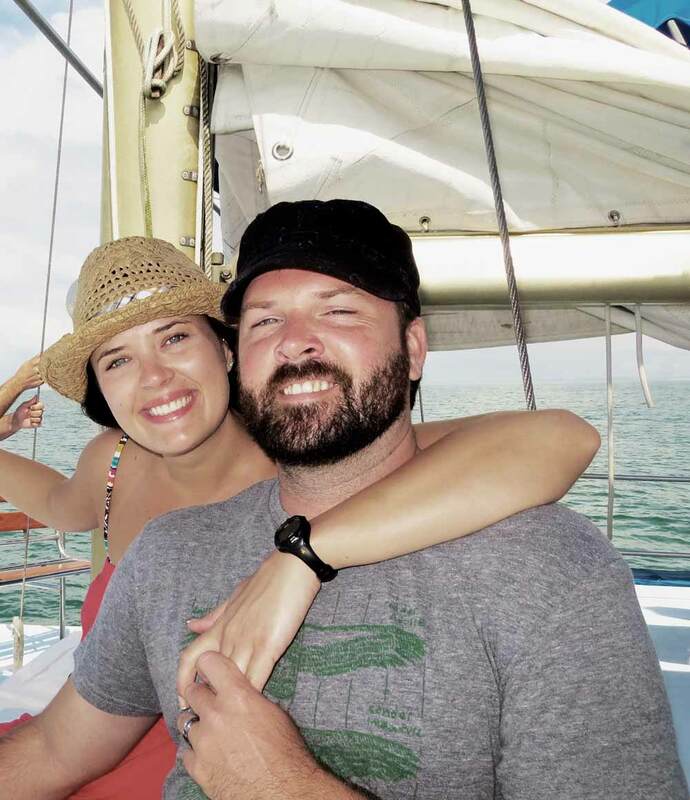 With their first missions trip to Costa Rica together in 2012, Gentry found the Lord revealing just how important of a role Kendall would come to play in Gentry’s story; they were married in September of 2013. The physical restoration of a sailboat was something Gentry learned and became accustomed to during a season of pain, change and growth; through the restoration of boats, he felt the Lord taking the same careful, measured steps with the seasons of his life. The Lord used missions and deliberate joy through people from all over the world to slowly restore faith and a desire for missions in His child’s heart.